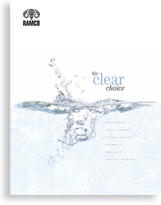 This application covers a Cleaning System used prior to Phosphating. However, this basic configuration is suitable for a number of processes that require pre-cleaning parts prior to surface treatment such as Alodine, Etch and Passivation. RAM TOUGH Multi Station Consoles are a new standard – built solely for the factory floor. RAM TOUGH Multi Station Consoles built for the rigors of production. 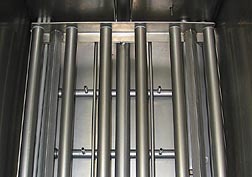 PREWASH with Oil Removal and Turbo/Filter – The first stage is designed to remove the bulk of the dirt and oil using turbo, filtration and an OR6A with SurfaceSweep (see below). 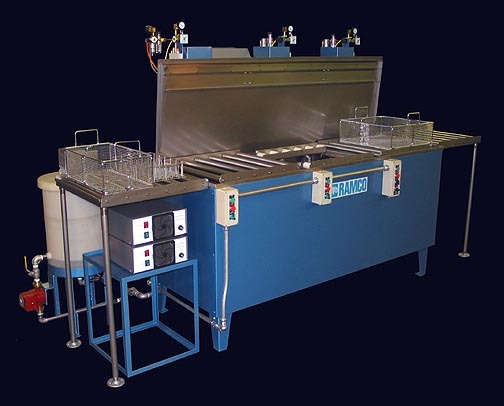 The system removes floating oils from the surface of the wash station to a remote quiet tank for separation and prevents floating oil from redepositing onto cleaned parts. 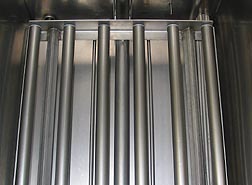 ULTRASONIC WASH with Turbo/Filter – The second stage is a precision wash with ultrasonics. All RAMCO ultrasonic systems are built using immersibles (see below). Many competitive systems uses transducers bonded directly to the bottom of the tank. We use transducers within immersibles that are bolted into the bottom of the tank and can be easily removed from the tank for service. Others design with bonded tank transducers which are cheaper to build but if a tranducer fails or gets damaged requires sending the whole tank back to the factory to be properly fixed (major downtime). If the customer were to have a transducer problem with our system we could send a loaner immersible and repair the damaged immersible (transducer) at the factory (minimal downtime). 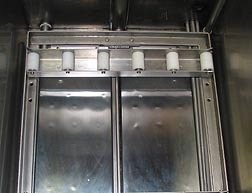 RINSE – The elevator moves the basket into the working zone and oscillates the parts in solution with either a short or long stroke. Dual stroke oscillation provides both short and long strokes. A selector switch is used to select either long (5 to 9 inch) or short (2 to 4 inch) strokes. 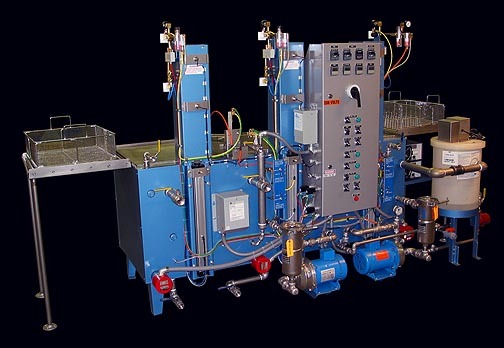 The long stroke is used to provide better flushing (hydraulically forcing solution though the working zone) for nested masses of parts and/or complex shapes with recessed passages whereas the short stroke is used to provide quicker oscillations and faster cleaning of simple parts and/or part configurations. Flexibility in stroke ranges and speeds produces more comprehensive cleaning (see Dynamic Flow Combination).